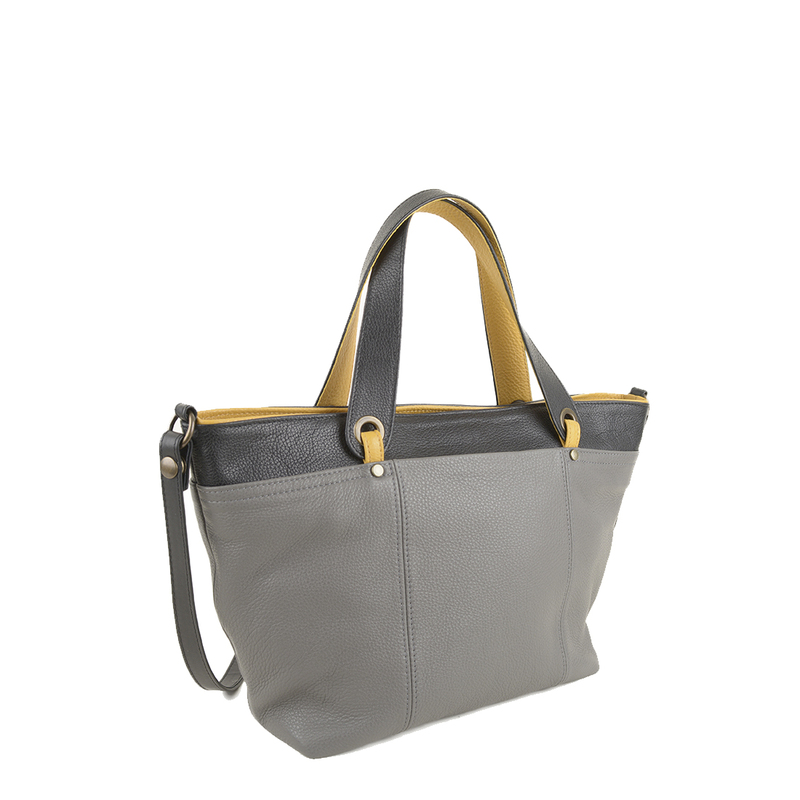 The Lucy leather tote bag in gull with mustard is a smaller version of the Kimberley. 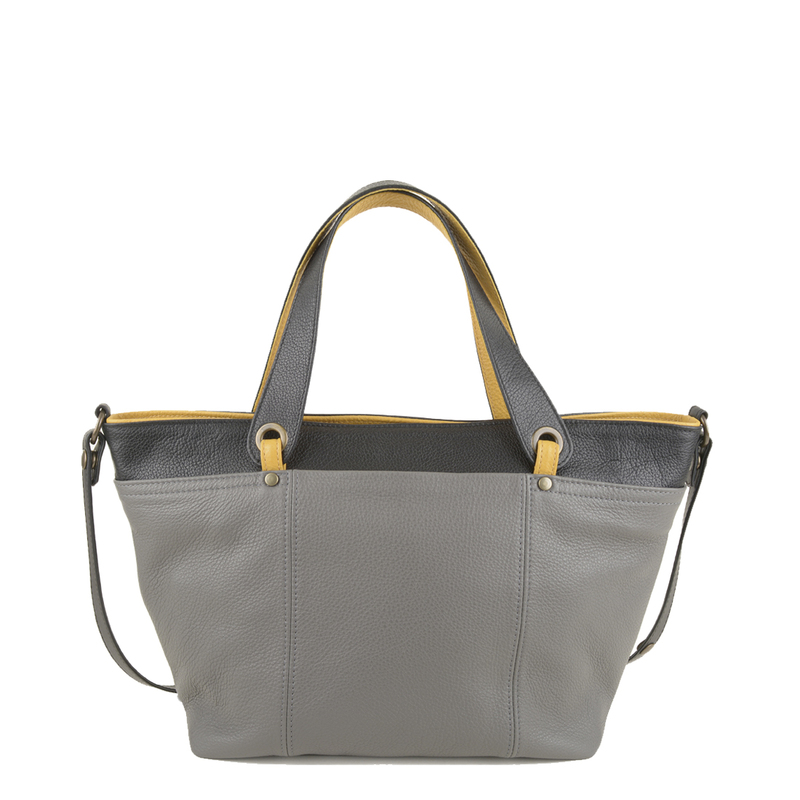 A great bag for the autumn. Wear her across body with the long detachable strap or use her as a grab bag. 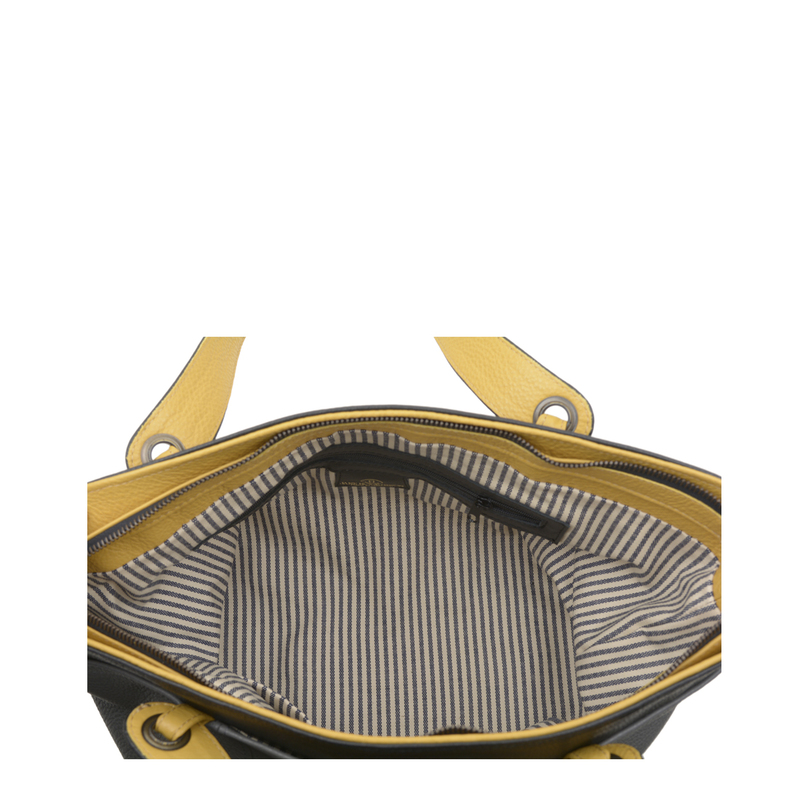 The Lucy has a nifty outside pocket on the front. Inside zip pocket with mobile phone holder. Width 43cm | Height 26cm | Base 12cm | Short Handle - drop 17cm | Long handle - drop 50cm.